What is the relation between solar energy and silver? The solar industry isn’t the largest consumer of silver, but it is a growing market that could give silver producers a boost. Most of the markets that silver serves follow traditional supply-demand economics and therefore competition is based on price, product line, and service, for example. However, in the presence of a hyper-growth industry such as the photovoltaic industry (and especially the thin-film photovoltaic industry), companies that recognize new or growing opportunities relating to photovoltaics, and that tailor their offerings and services to capitalize on those opportunities, will stand to benefit ahead of the others. A particularly good example of this phenomenon is the use of indium. While indium’s predominant use is for ITO – the main transparent conductor used by the display industry it is also a critical (and costly) component of the thin-film PV technology referred to as CIGS (copper indium/gallium diselenide). Indium is an extreme example, since it is such a large component of CIGS PV material costs and since CIGS PV is expected to make up close to 10 percent of the indium market by 2016; however, a similar situation applies to a number of other metals, including silver. 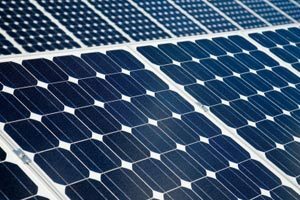 These metals are well-established industrially, but are also used (or potentially used) in a photovoltaic niche that presents a significant growth market. While the overall markets for silver are dominated mainly by its established, “conventional” uses, there are a number of emerging technologies that also use silver, and these rapidly growing technologies will account for a disproportionate amount of the growth in the silver market. Silver, including easily applied silver inks and pastes, is widely used in the electronics industry. It is easy to see why: Silver is the most conductive metal, bar none, and its oxide is also conductive, minimizing the impact of the oxidation that is unavoidable with almost any metal. It has been used as a conductor since the beginning of the electronics industry, so its properties are wellunderstood. Silver is especially well-suited to inks, in part because of the properties of its oxide, and because the contact resistance between particles deposited from an ink is extremely low. While other conductive inks–most notably copper–are also available, they are generally not as conductive when applied as an ink as compared to, say, a drawn wire. In fact, printing with silver inks has been done for decades for graphics applications. Now, silver nanoparticle inks are being developed and used with the promise of improvements in performance, cost of use, and functionality with inkjet printing. Silver inks and pastes continue to occupy a unique position in the printable electronics industry. They are by far the most commercialized of all printable electronic materials. They are widely used to create electrodes in a variety of applications, mostly by screen printing. Many uses of silver inks are still emerging, including RFID antennas, a product that could end up being produced by the billions. Today, there may be as many as 35 firms currently supplying silver inks for electronic applications. The use of silver is, of course, partially linked to the price of silver. The price of silver has been fairly volatile over the past several years, ranging as high as $20 per ounce in mid-2008 and back down to about $10 per ounce in early 2009. Much of the recent decline in silver prices is due to the ongoing worldwide recession, which has reduced demand for most industrial silver, including for products made with silver inks. This volatility does introduce a level of uncertainty into the use of silver inks, but generally where an ink is the preferred form of a conductor, silver inks’ benefits far outweigh the relative cost, even at high silver prices. Price is only one factor in the market for silver conductive inks, and such inks generally contribute only a relatively small portion of the cost of the products that use them. A major and growing use of silver within the electronics industry is in photovoltaic applications. This area has grown rapidly in the last five years or so, mainly due to concern about fossil fuels; this concern includes their generally high prices, the environmental impact of extracting and burning them, and worries about the political stability of the regions that produce them. 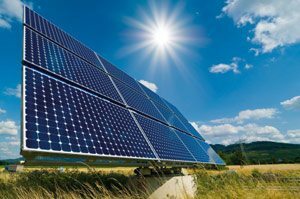 Growth in photovoltaics has been further promoted by government incentives encouraging renewable energy in certain jurisdictions. All that being said, since the onset of the global liquidity crisis and recession, NanoMarkets believes that the rate of growth in photovoltaic devices will slow over the next two years, although the industry will continue to grow, albeit at the slower pace. The reasons for the reduced rate of growth include: the reduced overall demand for all nonessential goods worldwide; the slump in new construction, eliminating many of the best opportunities for new PV installations; lower fossil fuel prices, minimizing the projected savings available from switching to solar power from grid supplied power; and the attention paid to the economic situation itself, which diverts a large share of resources from longer-term concerns such as the environment. At present, the vast majority of silver used in PV devices is for the electrodes of crystalline silicon (c-Si) PV cells. And while c-Si PV cells have dominated the photovoltaics’ markets for some time, alternative technologies, specifically thin-film PV (TFPV), are gaining ground–penetrating some of the traditional markets currently dominated by c-Si, as well as creating new application categories for solar energy. This brings with it a growing demand for materials such as silver that are used for these TFPV technologies.